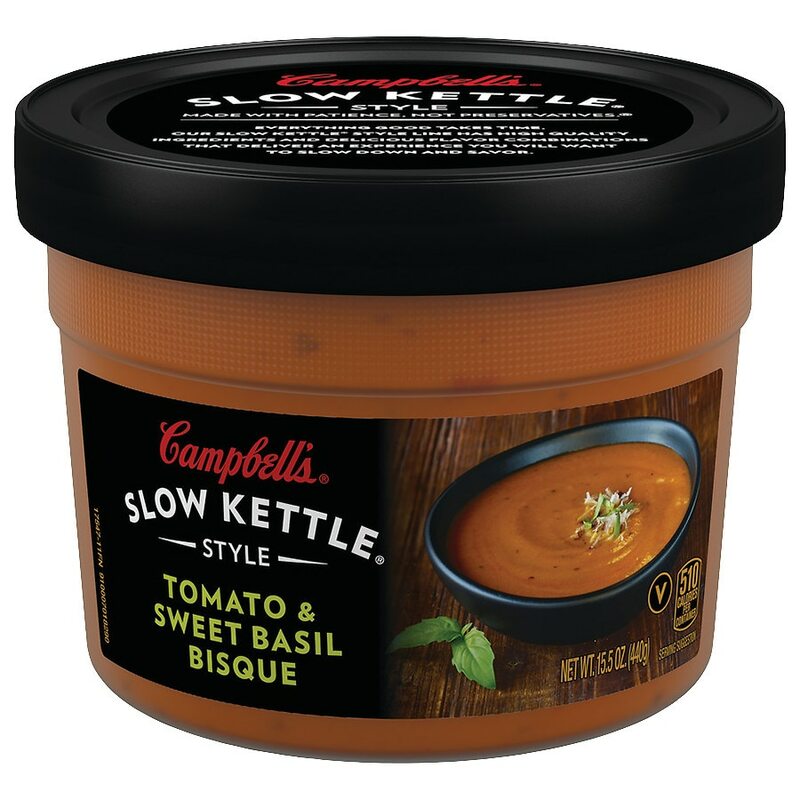 Campbell's® Slow Kettle® Style Tomato & Sweet Basil Bisque is smooth and rich in flavor of tomato and a hint of sweet basil. The restaurant-quality taste will make you want slow down and savor each and every spoonful. Satisfaction guaranteed. If you have questions or comments, please call 1-800-257-8443. Please have code and date information from container. Microwave: Discard plastic cap. Pull tab to remove metal lid and discard. Pour soup into 1 medium or 2 individual microwavable bowls; cover. Heat on high for 2-1/2 to 3 minutes. Careful, leave in microwave 1 minute, then stir.